Encapsulation makes the paper waterproof by encasing it in plastic, which creates a lip on all edges, usually 3 to 5mm. 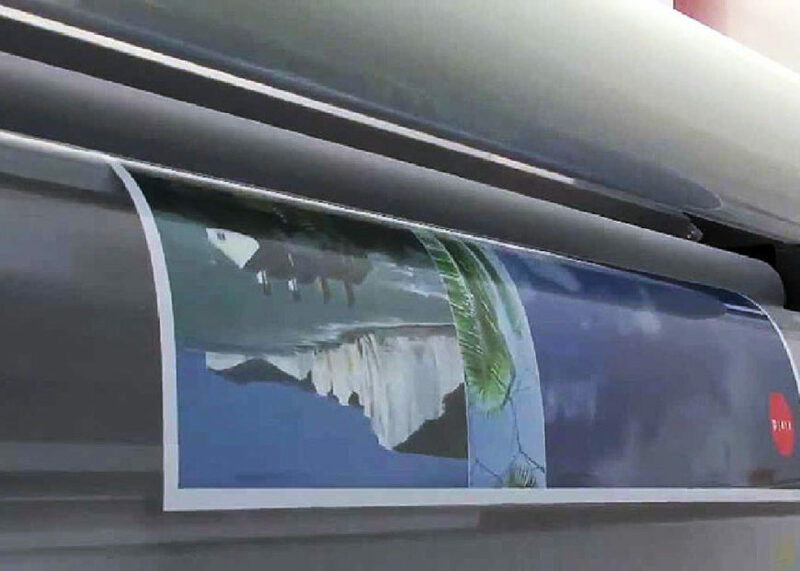 We have the ability to encapsulate any print ranging from as small as A7 all the way upto 1200mm Wide. A choice of thicknesses is available which all have high clarity, either 75micron, 125micron or 250micron. Any length larger than 1200mm wide can be cold sealed and/or mounted.